Home Doctors Say Goodbye to that Pain in the Neck! Say Goodbye to that Pain in the Neck! One of the other reasons our necks pay a price…we sit A LOT! Whether it is at home in front of the TV or electronics or at work in front of the computer, our necks get a work out! Distresses on the neck are felt in many ways, including but not limited to: low back pain, severe headache, migraines, or even facial aching and tenderness. 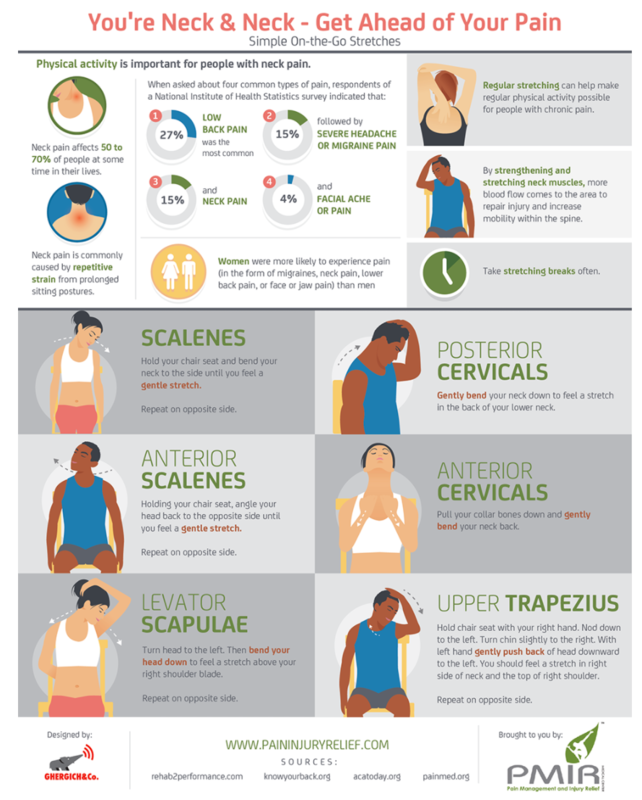 Read more: http://paininjuryrelief.com/get-ahead-of-your-neck-pain/#ixzz4Q3iGAMqs The graphic below will walk through some easy stretches to help. Next article8 Things Every Person Should Do Before 8 A.M.